The average wedding in the UK now costs around 27,176 pounds (30,700 euros – *huffpost 2017). 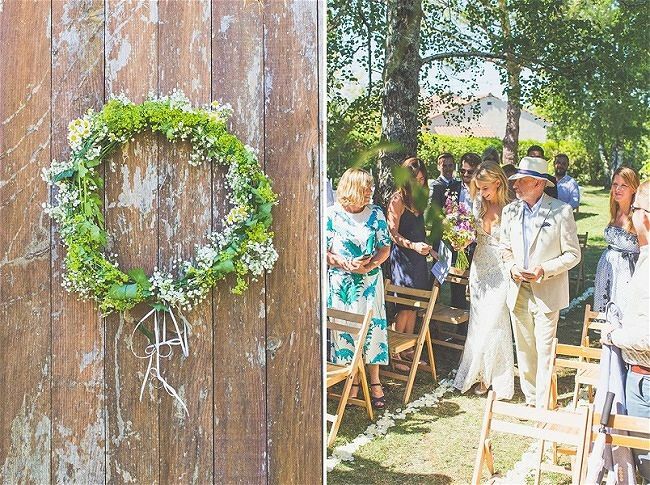 For couples who plan a wedding in France it’s possible to cut this cost and still have have a fabulous wedding in a stunning venue which includes onsite accommodation for guests. 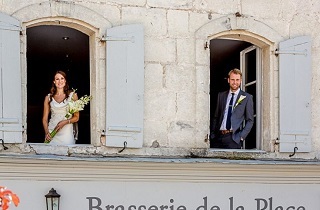 With all budgets in mind, Julie Francis from Dordogne wedding planning agency Your Wedding Planner.fr, has put together a mini guide to help you plan a wedding in France. 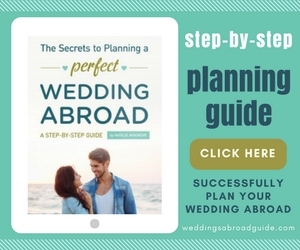 This informative guide is a great starting point to kick start your wedding planning and is intended to take away some of the stress and worry of planning a wedding aboard. 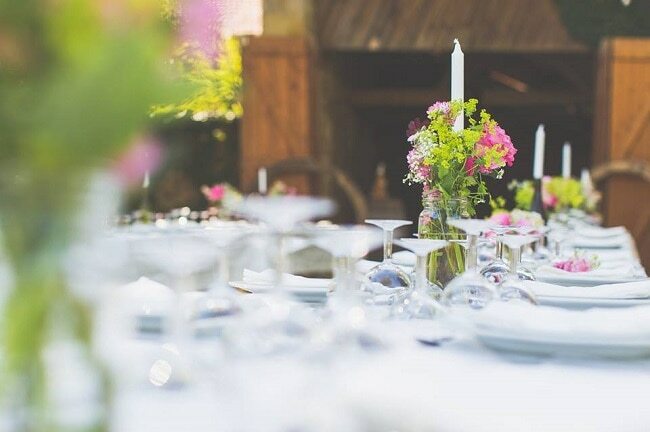 Below, Julie provides details of wedding venue options, the average cost of wedding services for 50 guests in South West France, as well as what you can expect when hiring a wedding planner. 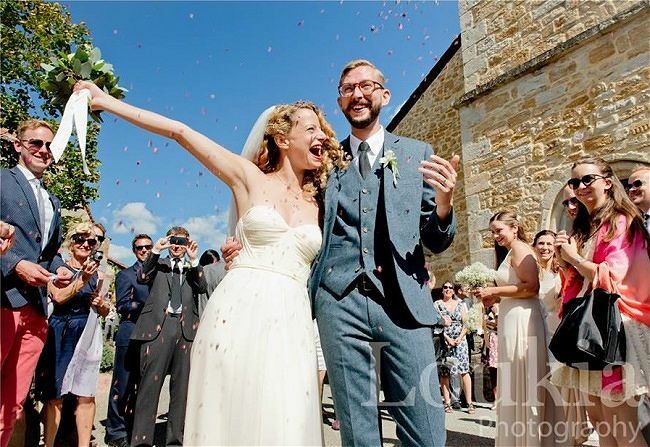 Julie also takes a look at the legal requirements for getting married in France and the different wedding ceremony options available. France is easy and affordable to travel to from the UK and Ireland with low cost airlines. 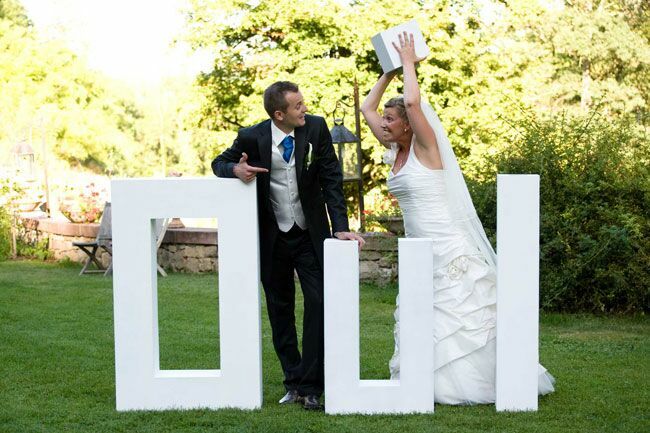 With English speaking wedding planners, you no longer have language barrier problems. Many couples often ask if their budget will be enough, but the first thing to remember is that just like a wedding at home the final figure will depend on the couples wishes. 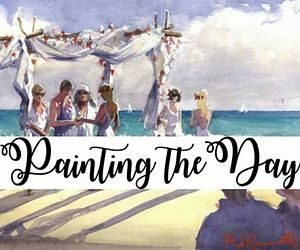 Factors to consider are the region you would like to get married in, the number of guests attending, the time of year of your wedding, your personal tastes … the list really goes on and on! As it’s not always clear what is available and at what price, a great starting point is to contact Your Wedding Planner.fr, who can provide you with a list of options within your budget, based on your requirements. Often, what springs to mind when you think of getting married in France is a wedding in a château. 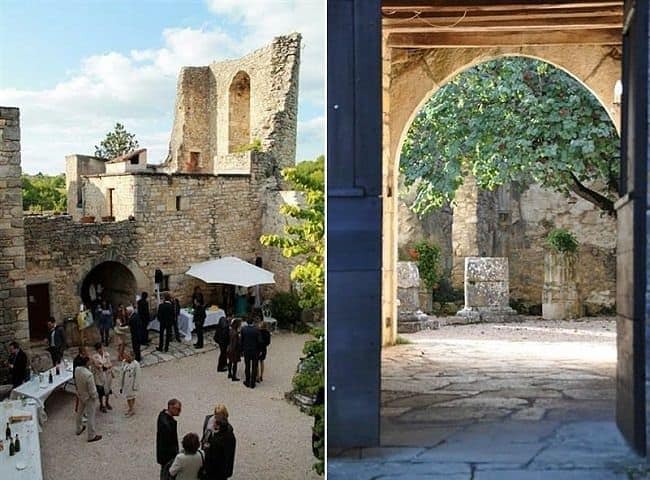 However, if this is not for you there are endless other venue options available, such as elegant country houses and private properties, numerous vineyards, converted barns and even entire villages you can hire for your dream wedding in France. 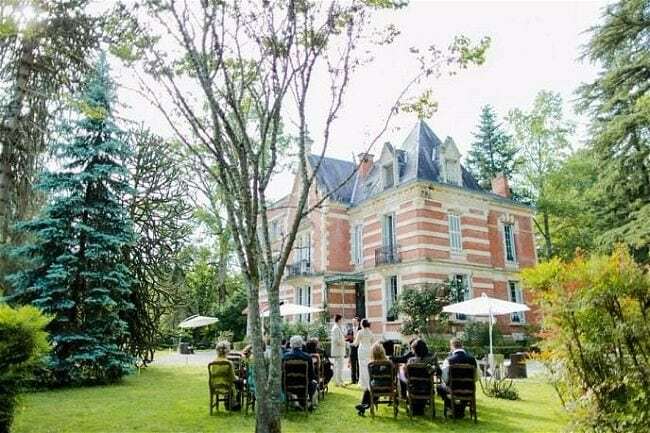 Many venues in France are surprisingly affordable and come with the added benefit of onsite accommodation making it possible to extend your celebrations into a wedding weekend or week. 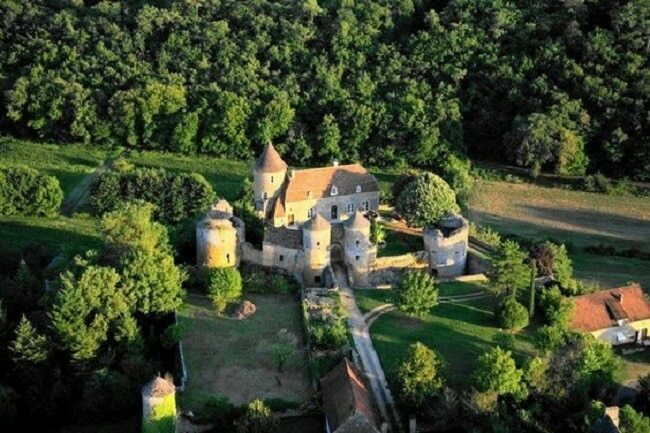 Located at the edge of the Périgord Noir, Château Lydia makes an ideal wedding château for intimate and smaller weddings. 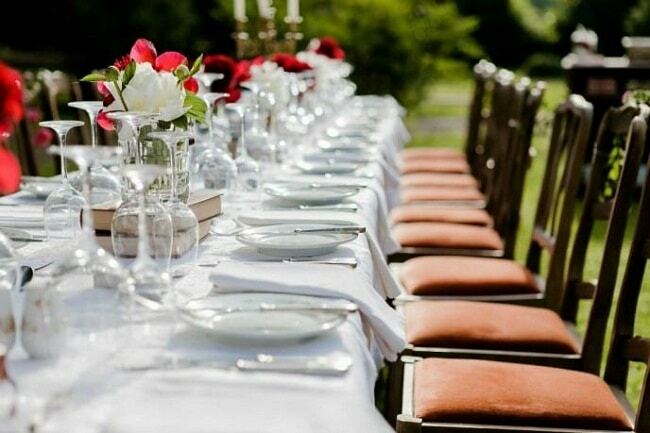 Within walking distance of the nearest town, it includes an inside dining option for 40, while larger weddings can be held in the garden or with the use of a marquee. Accommodation is available on site for 16 guests, and in the nearby village for other guests. With a fantastic position overlooking the Valley de Lot, Hill Top Château will certainly impress your guests. Ideal for larger weddings, the château can accommodate a reception of up to 150 indoors and 180 – 200 outdoors. The château, park and terraces are available for your reception, while accommodation can be found 20 minutes away. The stunning 4 star Princess Château, offers a spectacular setting for a romantic and memorable day. A large terrace overlooks the Lot and mature gardens surround the bold and stunning château. It features a chapel, an outdoor swimming pool set in the heart of the park planted with bicentenary cedars and two tennis courts. 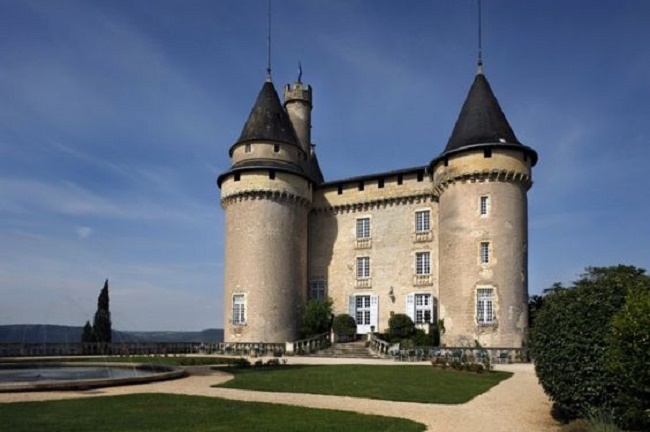 If you wish to plan a wedding in France with onsite accommodation for larger wedding parities, The Princess Château is one that stands out from the rest. It offers a restaurant reception area which can seat 120 guests as well as a variety of mature areas around the château which can be used for afternoon aperitifs and accommodation for 60 guest. Located 1 hour from Brive Airport and 90 minutes from Toulouse. The price varies on season, so please request a quotation. 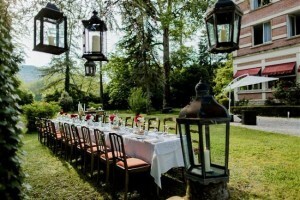 The Rolling Hills is a beautiful character château in the Lot, located just over an hour from Toulouse airport. The option of two courtyards and a choice of vaulted rooms for holding a symbolic ceremony. The banquet hall can accommodate a reception of 120 people. 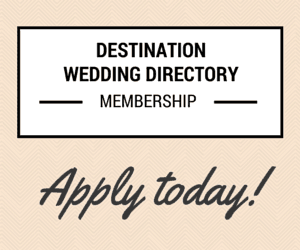 It offers excellent value, with 20 guests staying at the château for the week including wedding planner service. For those who don’t wish to marry in a château, France has many halls and old restored buildings throughout the country which can be hired for a minimum fee. Also weddings are often held at holiday homes and outside venues, Your Wedding Planner.fr can advise you on what is available in the area. 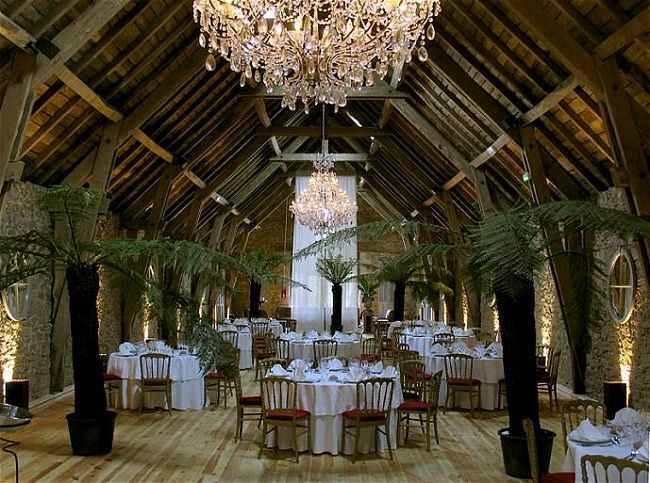 This large renovated barn set in the grounds of a beautiful chateau can hold 200 guests. With 17 bedrooms and a large hotel only 5 minutes away, this a good option for those who require a venue which sleeps up to 50. 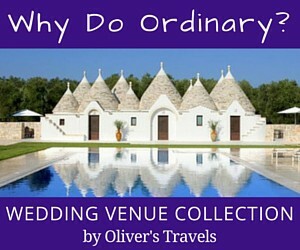 If you hire a larger venue with bedrooms, you have the option to divide the cost up with your guests. Guests can pay for their accommodation for the duration of their stay leaving you with a smaller fee to pay for the use of the venue for your wedding. Extending your rental for a one week stay is a small additional fee and will give you time before your wedding and a chill out holiday to finish off the celebrations. 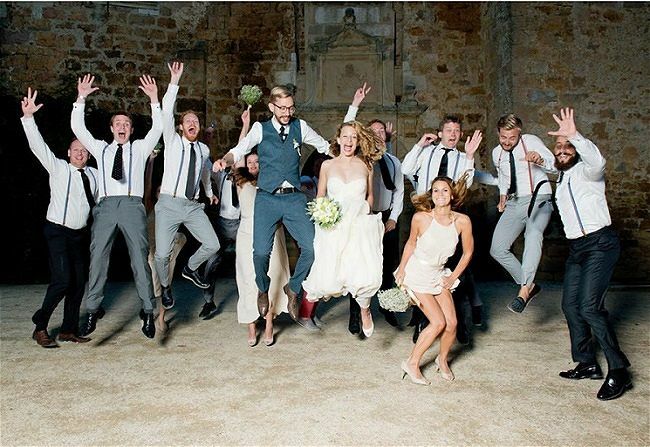 For a wedding in South West France based on 50 guests you can expect to pay 8,700 euros for the following services; 4 course meal, aperitif and canapés, champagne, drinks, wine, servers for the day, decorated table and flowers, DJ, Bridal bouquet, button holes, Celebrant, Photographer, hair and make-up artist. Remember this is an average cost based on rates negotiated by a wedding planner, it excludes venue hire and wedding planning fees. The final cost will depend on your requirements and may be higher if organising the suppliers yourself. 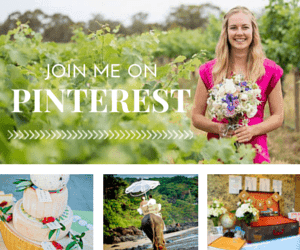 What will a wedding planner do for you? 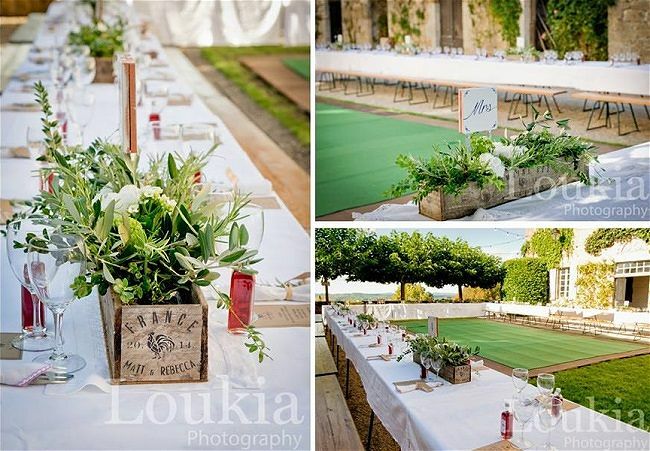 If you wish to plan a wedding in France, working with a wedding planner will not only take all the stress away, but will save you money and time. 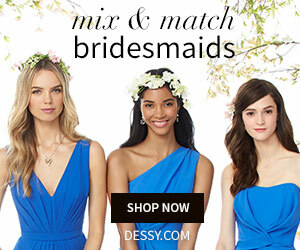 A wedding planner knows the best in the area and also how to get the best deals. 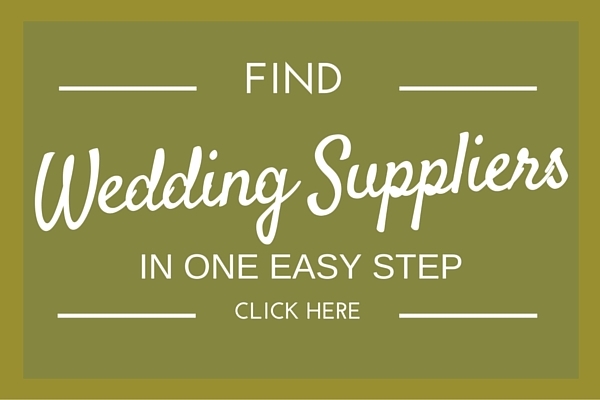 A wedding planner works with suppliers who they can trust and rely on, which gives the clients the best deals, they also know tricks to cut back on costs. A wedding planner will have the couple’s interest at heart and will put together a personal package for them, each couple has different requirements and will wish to be involved in the organisation at different levels. 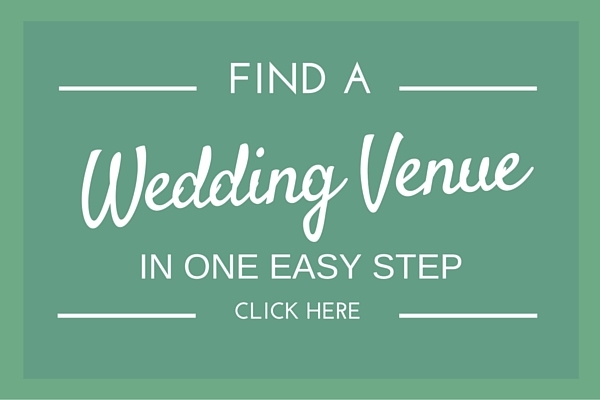 It is always good to work with a planner who is in the area of the venue unless they bring their suppliers with them. This way they know all the service providers well. You may just require someone to only help with on the day coordination or perhaps someone to run alongside you with organising your wedding, or basically inform them what you want and let the planner put it all in place. 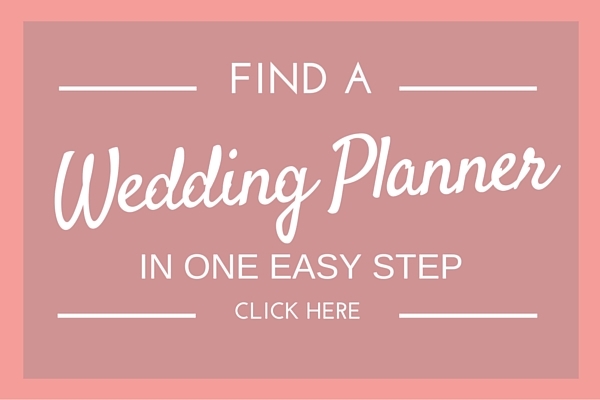 A wedding planner will look at your budget and your plans and work out how this can be achieved. With their contacts and knowledge they will know where to go for what, what is less expensive, or where to get the best deal or even where to borrow items. A wedding planner will be on hand to answer any questions and is your PA, they will guide you through the process of your special day, with experience. Hiring a wedding planner can take away the stress and time, booking and checking up on suppliers, working with French and English suppliers for the best deals. By phone, email, skype, messenger, contact is now so simple, it’s at the touch of a button to help you all the way. Meetings can be set up easily and updates made regularly. A lot of couples choose to take care of the legalities in their home county and then hold a symbolic ceremony in France. The cost of hiring a celebrant to carry out a very personal ceremony at the venue of your choice on the day is around 600 euros. By having a symbolic ceremony, you will not need to visit any authorities and no paperwork is needed. 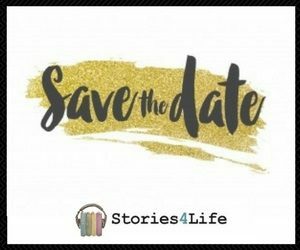 A church wedding can be carried out in France and you will have to provide documentation to prove that you are already married legally (only a civil wedding is legally binding in France so prior to having a religious ceremony you must show proof of marriage.) Many churches will allow your English speaking priest to come over and carryout the service. 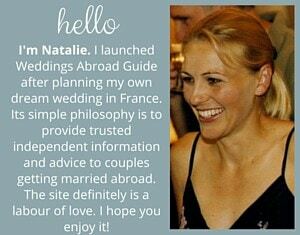 Want to learn more about Getting Married in France? 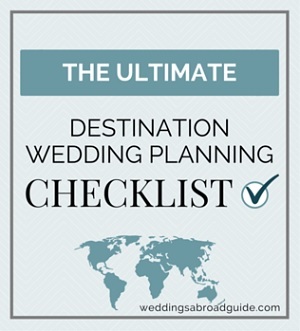 I hope the above information has been a helpful starting point to help you plan a wedding in France. 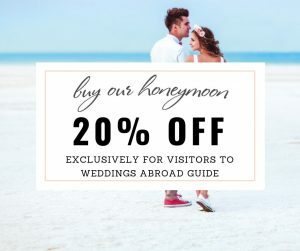 On Weddings Abroad Guide we promote the services of some fantastic wedding planners who can help you create a unique wedding day that reflects your individual style and personality. 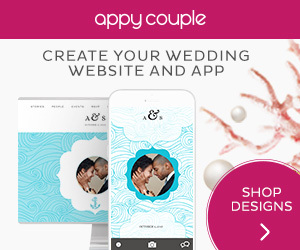 To connect with wedding planners in one easy step use the form below and your enquiry will be forwarded to at least 10 wedding planners who work in France. Click here to learn more.